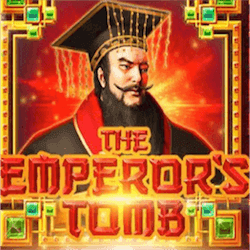 EvoPlay has released a brand new pokie called Emperor’s Tomb this week, inspired by the very first Chinese Emperor Qin Shi Huang. This pokie is facing stiff competition with the number of Asian inspired games out there but this isn’t the first time EvoPlay has created an oriental inspired title. Previously this year EvoPlay released Red Cliff, The Great Wall and the well received Journey to the West. 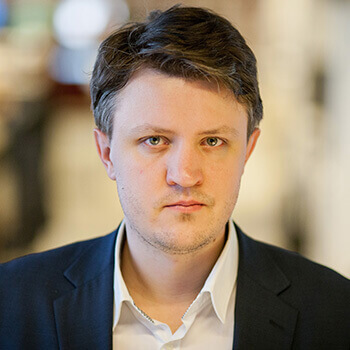 This Ukrainian developer has been in the business since 2003 and they know a successful theme when they see one. Emperor’s Tomb will have to be above average in design and fun factor to stand a chance with online gamblers and fortunately EvoPlay’s experience has helped them craft a fun and engaging pokie. The onscreen action looks great and helps give this pokie character. This pokie’s theme is centred on Emperor Qin Shi’s burial tomb which he filled with thousands of terracotta soldiers he believed would protect him in the afterlife. You will see the Emperor as a young man, just starting to build his army that feature as on reel symbols. This pokie makes use of a 5×3 reel design placed against the background of the Emperor’s palace. During the bonus game players will get to step inside this amazing stricture to win cash prizes. There are only 9 paylines to activate which helps make the minimum wager required a bit lower. Naturally an Emperor would not be an emperor if he did ‘nt have a stash of rewards hidden away somewhere. In Emperor’s Tomb you can uncover wilds, free spins and a pick-me bonus game. The face of the emperor acts as the Wild symbol. He won’t substitute for any bonus symbols but he can offer a solid jackpot of 4000 coins if you can line up 5 on a payline. EvoPlay’s included free spins game awards 15 free spins if you can land 3 or more scatter icons on the reels. The scatter symbols are represented by a terracotta chariot and it also offers a payout of up to 4500 coins, but realistically you can earn between 18 and 45 coins with the scatter icons for 2 to 3 scatters on the reels at the same time. While he free spins round is active, all winning combination will also receive a 3x win multiplier. Emperor’s Tomb is a solid pokie from EvoPlay and certainly won’t cost them any fans. The graphics are appealing and the wins are reliable enough to keep many players engaged.